Puzzles are great products for families as well as businesses. 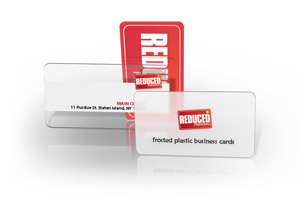 They can be used to create a unique gift for a family member just as easily as they can be used as a promotional product for a local small business. Create your own design, use a photo, or let our team of design experts design it for you! Reduced Printing offers custom puzzles as small as 4"x6" and as large as 12"x18". For certain sizes, you can even pick how many pieces you want the puzzle to be (50 or 60 piece options). In addition, the puzzle pieces are laminated to protect them for prolonged use. Learning Toys for Children - the natural curiosity of a child will immediately lure them to a unique puzzle. You can transfer a picture of their favorite toy or pet and create a puzzle that upon completion will put a huge smile on their face. If you want to make the puzzle more educational, create one with the alphabet or numbers on it. In order to get it right, knowing their 1-2-3's and A-B-C's will make it much easier to do! Family Gift - if you have a family member that enjoys jigsaw puzzles, what better gift than a custom family puzzle. Take one of their favorite photos and use it is the image for the puzzle. Once it is put together, they can frame it and have it forever. Free Swag - anyone that has ever been to a trade show knows it is all but guaranteed he or she will come home with a bag full of key chains, bottle openers, and t-shirts. Why not stand out and create unique swag other businesses are not marketing? A Unique Business Card - while everyone else is out handing out business cards, you are handing out small puzzles. Give the customer an incentive to complete it have a code imprinted on the puzzle that is spread out throughout the puzzle. Upon completion, they can then use that code on the business website and receive a discount. This is also a great way to track the effectiveness of the puzzle as a marketing tool. Small businesses today are challenged with finding new ways to grab a customer's attention. In many cases, prices and service are very similar, so there has to be an edge in order to create that curiosity that gets a customer through the front door or visiting the business website. Adding unique marketing tools, such as promotional puzzles, could be just the edge you need. If you need help or have more questions about this product, call us at 888-888-0649 or click here. !